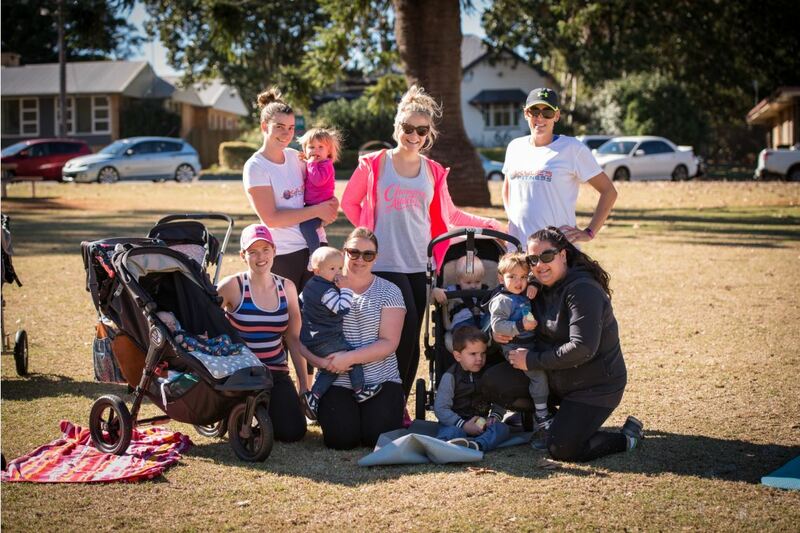 Our State (Heart Foundation) and National (Parks & Leisure Australia) award-winning CHANGE Project provide residents of Toowoomba Region with a wide range of low-cost activities to encourage everyone to lead a healthy and active lifestyle. The program provides activities to suit a wide variety of fitness levels. Bookings are required. Click on the blue headings to find activities of interest. Two editions of the Healthy & Active Directory are released each year - the spring/summer edition and the autumn/winter edition. Download the current edition here: The CHANGE Project - Healthy & active activity schedule (Autumn/Winter) 2019. We interviewed Saras, the volunteer leader of the free weekly Sahaja Yoga Meditation classes at Toowoomba City Library. What inspired you to start your personal journey with meditation? My journey started in 2000 when I started to do meditation classes. I joined these classes to help me manage work and the general stresses of life. When the provider moved on I saw an opportunity to teach this technique, as I wanted to help others to enjoy the benefits of meditation and have a better life. How would you describe meditation to people who don’t know what it is? It’s not what most people think it is – sitting around cross-legged chanting and humming. My meditation classes are practiced while sitting on a chair, and I guide people through some specific actions and thought processes to calm the mind. True meditation is stopping your thoughts and being in the silence. Normally your mind will not allow this silence to happen, but this can be learned quite quickly with regular practice of the type of meditation taught through my classes. There's a large and growing body of research finding people who meditate regularly gain improved attention and concentration, reduced levels of anxiety, and an overall improved sense of wellbeing. And these benefits seem to be felt after a relatively short amount of practice. Just 10 minutes twice a day is all you need to put aside to practice Sahaja Yoga meditation and, within a matter of a few short weeks, you’ll start recognising the wonderful changes within yourself that practicing meditation can bring. Lots of different people attend my classes – young people to retirees, men and women, and people from various cultural backgrounds. Some come to improve their health and wellbeing, others seeking to connect with their inner self. What are the benefits of your classes? Encouraging people to meditate daily and then coming together once a week for a collective meditation helps in starting and maintaining a regular meditation practice. At classes, we also discuss how to overcome any obstacles they might have to their meditation, how to clear off their stress of the day and come back to being in a balanced state. Sometimes we also watch videos and listen to CDs to help us continue to progress our meditation practice. How do people attend your class? Here in Toowoomba, we run meditation classes at the Toowoomba City Library on Tuesdays: Intermediate class from 9.30am-11am and Beginners class from 11.30am-12.30pm. New beginner classes will start on Sundays, 10am-11:30am from 7 January 2018. Each year, classes run for four terms of 8-10 weeks each, with a break in between. Anyone can join the beginners class at any time and no bookings are required. Laughter Yoga is a unique exercise routine developed by Indian physician Dr. Madan Kataria. It combines laughter exercises with yoga breathing (pranayama) which brings in more oxygen to the body and brain making one feel more energetic and healthy. You don't need great sense of humor to laugh; you can laugh even if you're not happy. In fact, you can laugh for no reason – with Laughter Yoga. Discover ways to foster optimism, increase resilience and bring more positive emotions to your life through our Flourish meet-up sessions! For more information, contact Namaste on 0423 537 564 or via email at Namaste@yessuccess.com.au. World Chase Tag™ is the classic game "Chasey" with inflatable obstacles, a modern take on a playground classic. Suitable for ages 5 to 12 years. No experience necessary. Indoor agility course, utilising skills from parkour. Get together with friends and join upcoming YouthConnect activities, such as skateboarding workshops, pool parties, movie nights and much more! For more information please visit our YouthConnect page. Contact: Di - phone 0435 120 548 or email distiller1@hotmail.com The design of this class introduces easy-to-follow Zumba choreography that focuses on balance, range of motion and coordination. It's perfect for active older adults, beginners and people with injuries or disabilities who are looking for a modified Zumba class that recreates the original move at a low-intensity. Come ready to sweat and prepare to leave empowered and feeling strong. These sessions fuse cardio interval training with drumming for a challenging, heart-pumping workout. Contact: Lindy - phone 07 4693 1199 or email lindy@hounddogfit.com.au. Ready to go from the couch to 5km? Start pounding the pavement with a friendly and welcoming running activity - parkrun. parkrun is perfect for people of all fitness abilities, from beginners to experienced runners as participants are able to walk or run the course. Each week, runs are coordinated by an enthusiastic and dedicated group of volunteers and everyone is welcome to stick around for a coffee and chat afterwards. To help measure your progress towards achieving your health and running goals, parkrun also provides the option for your runs to be timed each week. Get together with friends and family and join in the annual Peak2Park fundraiser run/walk held on the first Sunday in March each year! Free and low-cost training sessions are available in the lead-up to this event. For details visit the Peak2Park website. Joining a walking group is a fun, social and easy way to be active and best of all it's FREE! If you’re interested in joining or finding out more about the walking groups listed below, please contact the Walk Organiser. Please note: Summer walks begin at 5am. For those who would prefer to walk between 5am - 9am and 4pm - 7pm, please contact Paula for more information. If there isn't a walking group in your area you can start your own group - for more information about starting a walking group contact us. If you would like to walk on your own you can still join as a 'virtual walker' and track your progress online (and be rewarded for achieving walking milestones the same way as in a group). Become a virtual walker here. The Heart Foundation walking app is a great way to help you track your steps, connect to health information, take part in events and campaigns, and stay motivated to take up and keep walking. Read more about the Heart Foundation walking app. Want to ride to places but don't know how? Get together with a volunteer bike buddy for one-on-one coaching. To join or find out more contact Bicycle Queensland by emailing bikebuddies@bq.org.au. Practice your riding skills in an off-road environment on beginner to advanced loops (Harvey Rd, Glenvale). Ride to work in the CBD? The Toowoomba City Library Cycle Hub offers riders secure parking and amenities. For membership details visit our Cycle Hub webpage. Check out the new 3m-wide pathway perfect for walkers and cyclists along the Toowoomba City Golf Club (eastern boundary). Learn about organic gardening, permaculture, composting, worm farming, growing your own fruit and vegetables, plus much more. Meet at the tool shed and ask to speak to a committee representative. The $10 annual fee includes a complimentary newsletter subscription, social event invitations, and the opportunity to hire a plot, or to help out in the common areas. No previous experience with gardening is required. FREE AH Diabetes 6 week healthy living on a budget program (for ages 18 – 80). This activity is supported by funding from the Darling Downs and West Moreton PHN through the Australian Government’s PHN Program. An activity designed to suit people with varying fitness levels and abilities. The series of 8-10 week programs will begin on the first Wednesday of each school term. Health warning: You should satisfy yourself that you have a suitable fitness level, ability and skill before you undertake an activity. If you have concerns in this regard, it is recommended that you seek appropriate independent advice, including medical advice. You should not expect to receive such advice from Toowoomba Regional Council’s members, staff, contractors or agents, nor should you rely on any opinions expressed by them in relation to your fitness level, ability or skill to undertake an activity. Healthy & Active Directory: Toowoomba Regional Council (“Council”} published the Healthy & Active Directory (“Directory”) and is not a provider of the services offered in the Directory, or a partner, contractor or agent of the listed providers. Council does not make any warranty as to the services offered in the Directory. Council has no control or responsibility as to if and when the services listed in the Directory are provided. Council accepts no responsibility or liability for any dispute, damage lost, cost, expense, liability, demand, action, proceeding, injury, death or claim due to or arising out of, directly or indirectly, the actions or omissions (whether wilful, negligent or otherwise) of Council (including any of Council’s members, employees, contractors or agents) or participant (including yourself) or any provider. The information contained in the Directory is subject to change.